Irvin White joined Sanford Rose Associates® – Rhonemus Group in February 2017. He brings over 10 years of banking and mortgage experience from one of the largest Fortune 500 banks in the nation. During his career, he honed his banking craft in asset management, mortgage sales, bank operations, talent acquisition, and fintech. Irvin offers candidates a unique banking perspective due to his wide range of experience in the industry and truly understands the banking and mortgage candidate. Irvin’s ability to partner, along with his systematic approach to efficiently accomplish goals will ensure that Sanford Rose Associates® – Rhonemus Group continues to provide a high value service for our banking clients. 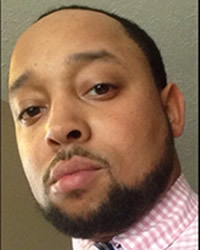 He is a Banking Search Consultant with Sanford Rose Associates® – Rhonemus Group in Columbus, Ohio specializing in mortgage banking searches for community/regional banks and mortgage companies. Irvin resides in the Central Ohio area with his wife and 2 sons and is a volunteer board member of the Dublin Football League.